It’s been a while, because of some unwelcome and unavoidably time-consuming personal developments, and this post’s going to be fairly short too but I really needed to get this out of my system. 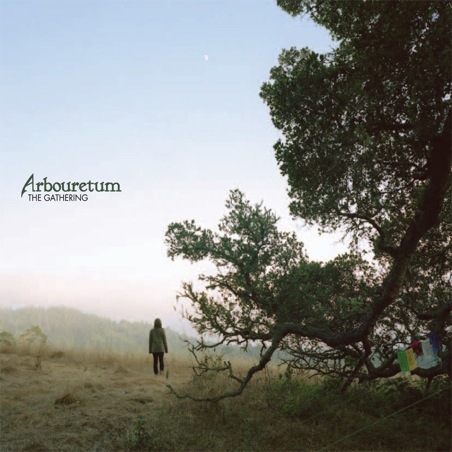 Arbouretum’s The Gathering is already a contender for record of the year. Amazing, deeply moving stonery folk-rock, reminiscent of Fairport Convention, Pontiak and Dead Meadow, heavy, fuzzy and hypnotic, lead by Heumann’s distinctive voice and staggering melodic sense. Loved the the way the meandering, complex melodies are set against the monolithic grooves these guys can achieve and sustain so effortlessly. Was left speechless by tracks like opener The White Bird, When Delivery Comes, The Highwayman and the stunning Song of the Nile. Has anybody been having fun looking words and concepts up on the Google Ngram Viewer? The latest addition to the growing arsenal of quantitative research tools for the humanities aims to study the evolution of words, concepts, etc in culture, like those real scientists do in biology etc. This is my search for the word internet. Surpsisingly, it shows some use of the word around the 1900 mark. Looking at the results in the 1800-1905 bracket, we find this page. Now, as the software scans pdfs of some really old books documents the characters it looks for are occasionally distorted or slightly different. One of the results bears the title THE GENTLEMAN’S MAGAZINE AND HIFTORICAL CHRONICLE – Page 466 and dates from 1806. It would have been very interesting to find a mention of the word internet in a document dating from 1806, so I clicked on the link, only to find out that the text made reference to a Captain Infernet, the writer possibly using the letter -f in the place of an -s as he does elsewhere in the text. Dedicated with love to Michael Jayston, the Jayston Mix is a funfair pickNmixed bag of favourites old and new, and a wandering down pathways both sinister and silly. Here you’ll find beyond-classic lost sample-heroics from Biosphere, crunchy-slurred breakbeats from the antique MC Duke, Coil rubbing shoulders with Leonard Rossiter, delightfully RP-looping from the Art of Noise and splendidly mournful bubble-pop froOoOOm oOoOO. EL-P and Lordy Lloyd-Webber get along famously in a flat-share while Giorgio does a cattish double-take. Mew. N-N-N-Noosha Fox has an irresistible stammer and provides a TOTP Talk Box sensation, and the kindly ghost of Russell Harty pops up to remind you that he is gone but never forgotten. Then it’s uphill down your way as Brian Croucher staggers through polystyrene boulders of speech in a manner defying descriptive powers of a rational mind. Unique. There’s a hidden level to remind you that computer game music + musochops = bewildering excellence while we Peter Owt with lucid melancholia and a reminder… I’ve told you. I’m a funny fellow. I think my Crimmos are going to enjoy this. 39. Datassette. Can You Smell Maths?